As with other ultrasound procedures, a smooth applicator is placed upon your skin, the skin projects an image onto a screen that allows your practitioner to plan where the energy will be directed. This same applicator is then used to deliver low levels of focused heat to just the right depth below the skin to achieve a positive effect, all the while leaving the surface of your skin undisturbed. Your skin’s response to the energy is to stimulate the growth of new collagen. A gradual tightening and firming occurs, resulting in a natural lift of the skin over time. Q: HOW IS THIS PROCEDURE DIFFERENT THAN OTHER COSMETIC PROCEDURES? Q: HOW DOES IT FEEL LIKE? typically leave comfortable and excited about the benefits to come. weeks following the procedure, but these are mild and temporary in nature. A: Ultrasound energy has a proven track record, with over 50 years of use in the field of medicine, and clinical trials have demonstrated the safety. Q: WHEN CAN PATIENTS EXPECT TO SEE RESULTS? A: Immediately after treatment, most patients notice a naturally lifted and toned complexion as well as a slower rate of skin aging. 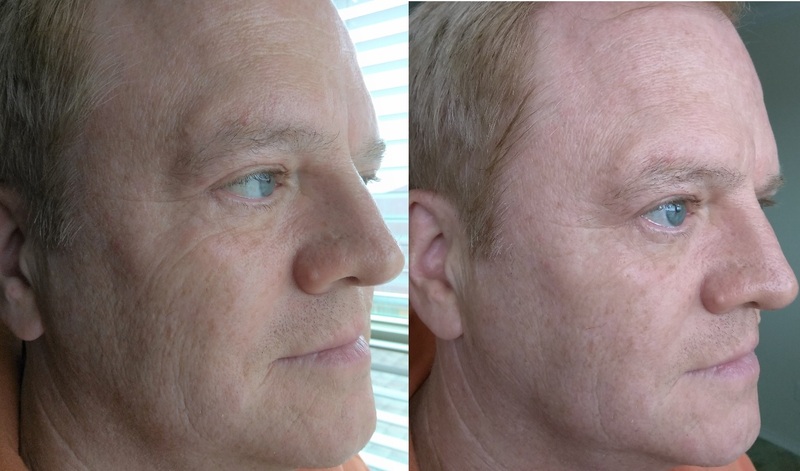 Since Ultherapy stimulates the production of collagen over time, optimal results are seen three to six months following the procedure. Yearly touch-up treatments can be done to maintain these results. Q: HOW DOES ULTHERA COMPARE WITH THERMAGE? A:Both Ulthera and Thermage offer proprietary nonsurgical modalities to deliver skin tightening and lifting of face and neck. Thermage uses radiofrequency energy delivery system whereas Ulthera utilizes external ultrasound energy delivery technology to bring about retraction of deep tissues underneath the skin and stimulation of collagen offering consistent clinical results. Q: HOW DOES ULTHERAPY COMPARE TO LASERS?